With over 2 million downloads to date, it is one of the best and most trusted field guides for North American birds. FREE. 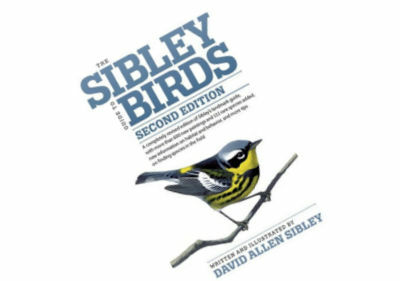 The second edition (2014) is essentially an entirely new book, created by revising every element of the first edition, adding some new material, and assembling the updated parts into a new whole. Over 100 new species have been added, and over 600 new images. Most of the original paintings have been retouched in some way, and all were rescanned using the latest technology. The text is largely rewritten, maps updated, and the layout adjusted to allow more text and a more logical arrangement of text on each page. First, Merlin asks you a few simple questions. Then, almost like magic, it reveals the list of birds that best match your description. Pick your bird, then delve into more photos, sounds, and ID tips about your bird! If you have a photo, Merlin can help there as well. Take a photo, choose from your camera roll, or snap the viewfinder of your zoom camera, and Merlin's powerful AI will suggest an identification almost instantly. FREE. From All About Birds, The Cornell Lab. Merlin Bird ID draws upon more than 500 million observations from the eBird citizen-science project. It customizes your list to the species you are most likely to have seen at your location and time of year. Bird is an online database of bird observations providing scientists, researchers and amateur naturalists with real-time data about bird distribution and abundance. Originally restricted to sightings from the Western Hemisphere, it was widened to include New Zealand in 2008, and was widened to cover the whole world in June 2010. eBird has been described as an ambitious example of enlisting amateurs to gather data on biodiversity for use in science. eBird is an example of crowdsourcing and has been hailed as an example of democratizing science, treating citizens as scientists, allowing the public to access and use their own data and the collective data generated by others. Compact and comprehensive, this guide features 650 bird species, plus regional populations, found east of the Rocky Mountains. Entries include stunningly accurate illustrations--more than 4,601 in total--with descriptive captions pointing out the most important field marks. Each entry has been updated to include the most current information concerning frequency, nesting, behavior, food and feeding, voice description, and key identification features. Here too are more than 601 updated maps drawn from information contributed by 110 regional experts across the continent, and showing winter, summer, year-round, migration, and rare ranges. 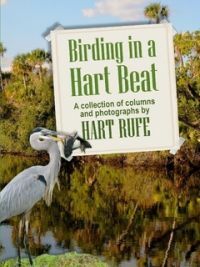 Compilation of columns by St. Lucie County Audubon’s own Hart Rufe, guide and photographer from the beginning until mid-2015. Full-color, large format book of 242 page. From LULU PUBLISHING.